The Night Watch was not what I expected. I don’t like war time stories. There is very little I enjoy about the gory detail or historical arrogance that often accompanies war time stories. 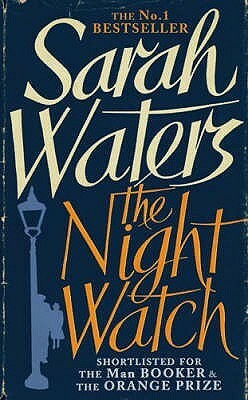 Instead The Night Watch, although set in London between 1941 and 1947, did not focus on the war but explored the stories of a small group of individuals whose fates intertwine by chance against the backdrop of the London bombings. And as it turns out, The Night Watch is one of the finest character studies I have ever encountered. In fact, I guess the story could have been written against the backdrop of other eras and other societies and still maintain its relevance as a depiction of the struggle of moral integrity surrounded by betrayal – however small it may be – and of acts of kindness in a world of destruction. As with Waters’ other books, the writing is compelling. The pace of the narration thrives on detail. Detail is important. I do not often re-read books, but this one will be one of the few that I will be sure to come back to. It is also one of those very few books where I really wish the main character was real.